1857 will be closed for the Easter holidays, from Sat 8 April– Mon 17 April. Karl Larsson's DINOSAUR remains on view until Sun 23 April. You occur naturally in limestone, fluorite, gypsum and other minerals. Toothpaste is an excavating agent and a contrast medium that maintains your stasis. The silicas, zeolites and quartz will moderately grind your smile, aiming to keep your enameled deciduous nails white like eggshell. Dear Child, you are an alkaline substance. Forgive my comparison, but just like ash. Dear Child, you are shrouded words, an unbearable thought, an evolving unit, but only heading to your winter quarters. Dirt replacing ligaments. You will never be reassembled. You are a ballistic trajectory. Beautifully ascending through the ceiling. I'll leave you with a bow and withdraw somewhat like a belated bus bumping down the road and into the tungsten night. You will conclude they never existed while you deform, outgrow and discard all your possibilities. Dear Child, at a certain point in the living room all dimensions are open. The house shivers while petrifying. Your low operations wake up the dust on the floorboards. The smell of milk and porridge is an omen of protection. You see the magpies in the linden tree? Their enormous nests. A cluster of stolen, arboreal rubble. Dear Child, in the morrow wind the games are on. The pinned sheets can't withstand the gusts, apparitions smelling of detergent, and soon sun. You point and say: Dried up. Dear Child, you will fall and break your hand and it will grow out of proportion. 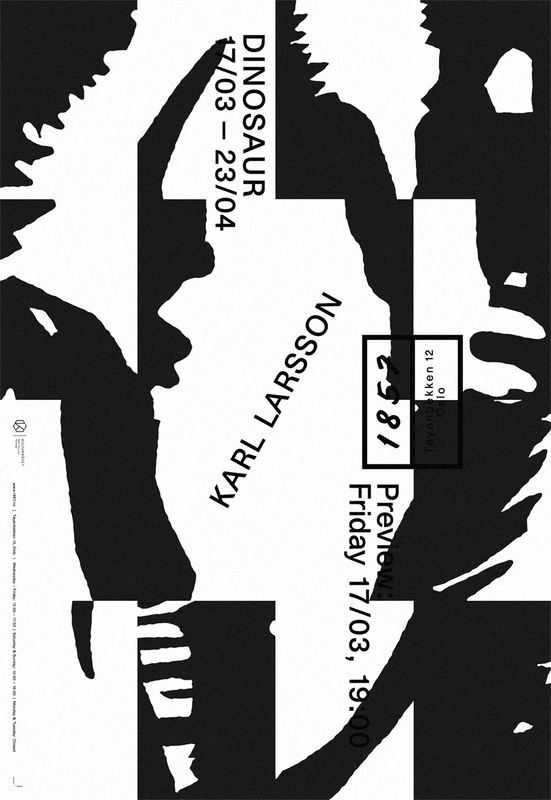 Karl Larsson (b. 1977, Kristianstad, Sweden) is based in Malmö, Sweden. Recent solo exhibitions include Galerie Nordenhake, Stockholm; Shanaynay, Paris; and Hamburger Kunstverein, Hamburg. His work has been part of group shows at Plateau FRAC ile-de-France, Paris; Grazer Kunstverein, Graz; Overgaden, Copenhagen; Alhondiga Bilbao, Bilbao; Galerie Emanuel Layr, Vienna; and was included in the Lofoten International Art Festival 2013; and the 6th Momentum Biennial, Moss. Among his published works are FORM/FORCE, (2007/2015 Black Square Editions, New York); Strange, (2015, Mousse Publishing, Milan); Poetical Assumption, (2012, Torpedo / JVE press, Oslo / Maastricht); and Parrot, (2010, Paraguay Press, Paris).